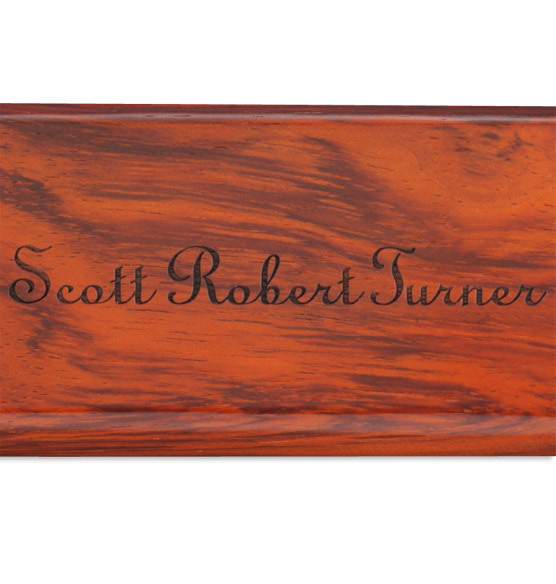 Open letters in style with our personalized rosewood letter opener. 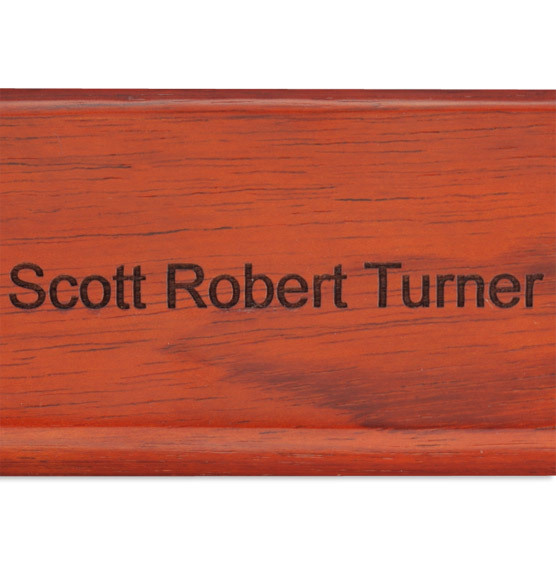 To personalize this wood letter opener, specify style: script or block letters; specify name, up to 22 letters and spaces. 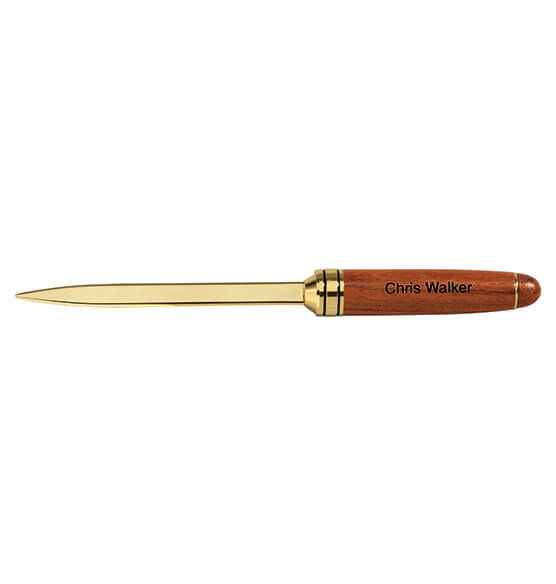 A personalized letter opener makes an excellent quality gift! 6" long. Purchased this for my husband for our one year wedding anniversary. It was to represent the tradition of “paper”. I engraved our initials and wedding date on the handle. It was beautiful. For the price I was very impressed with the quality. I was so happy to find this! Gave as gift for Father's Day. Graduation, Birthday, I would be proud and happy to have one for myself. 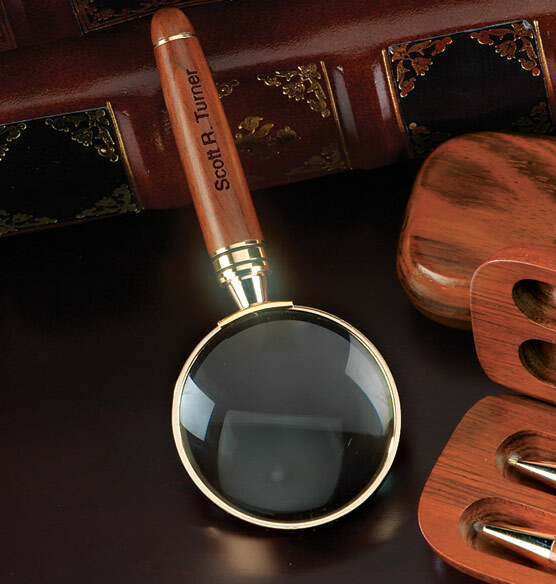 Also the pricing is very reasonable for the quality of the wood - pens, pencils and gift box. Love the ease of opening mail with this opener! If anything should happen with my openerI would have to order another one. Could not do with out it! Best thing I bought in a long time! I purchased a few of these Rosewood Personalized letter openers last year as Christmas gift and everyone loved them for their usefulness and their quality of workmanship. I recently ordered 2 more as gifts. They are great for Birthdays, Anniversaries and for any special occasions. The Personalizing makes them Special. I would pay better attention to length. This was to go with a pen set that I had given my husband a year ago. I expected the actual blade to be longer. My assumption was wrong.